Gain the added performance at the same price as retail. Our bats are ready to dominate the plate today. 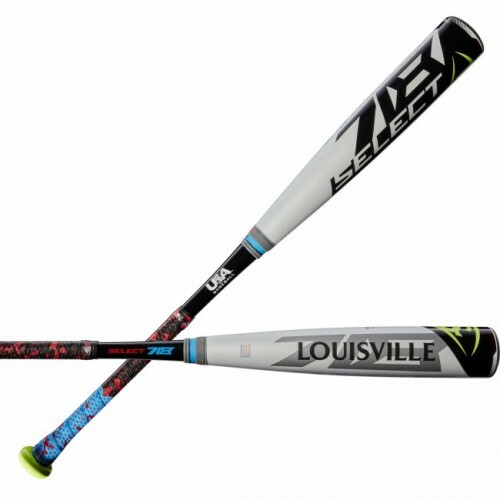 Ordering 2 or more bats? Use code "TEAMBONUS" for additional savings. The new Select 718 (-5) 2 5/8" USA Baseball bat from Louisville Slugger was built for power. It comes with a Hybrid construction - ST 7U1+ alloy barrel, a full composite handle and a new Speed Ballistic End Cap for maximum momentum and power on contact. The TRU3™ construction helps reduce vibration and provide unmatched feel upon contact. We are currently averaging 3 business days from the time of order but some orders may experience as much as 7 business days. Our shaved bats for example may take additional time to process. All orders go out using 2-Day Priority shipping with tracking details sent to the customers email. We honor manufacturer warranties on all heat rolled and stock bats that we sell. Any bat damaged and still within the manufacturers set time-frame can be sent back to us to file a replacement with the manufacturer. All shaved bats are not eligible for the warranty but we do offer a 30-day no-break guarantee. Our bats are guaranteed to be free from defects caused by our altering service. If there are any visual markings, a customer can send it back in for replacement. The only way to detect our altered bats is with a compression testing system which are usually only used in major tournaments. Let's unleash a bat's full potential. Our normal heat rolling treatment simulates around 350-400 hits. Our other choice is a basic heat rolling (200-300 hits). Heating the bat allows us to create a much more uniformed break-in and is overall less aggressive on the bats durability. Our professional-grade machines and unique process treat each bat between 45 minutes to 90 minutes at very slow incremental speeds. 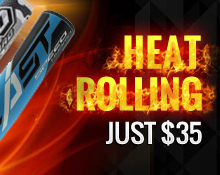 Our heat rolling process is one-of-a-kind with three different machines designs for different bat models, it has been perfected over the years and assures quality you can see & feel instantly. Our 1oz shaved bats are designed to get a major performance upgrade while retaining excellent durability. We designed this package for those to get the best of both worlds: performance & durability. Our 2oz bat options are specifically designed for home run derby hitters, if you want the very best performance this option is for you. Free shipping on all orders over $100 & we cover all sales tax. Copyright © 2019, CLUB ROLLERS, All Rights Reserved.